A month later, I’m here again with another Songs Of The Month post. September was an exciting month considering music. I listened to lots of my favourites’ songs, I think there is only one song which I hadn’t known the author of. I fell in love again with Ella Eyre, I listened to her album a lot throughout the month – and possibly got to love her even more, she’s a great talent. Let’s get to the list! The songs are not in any particular order. 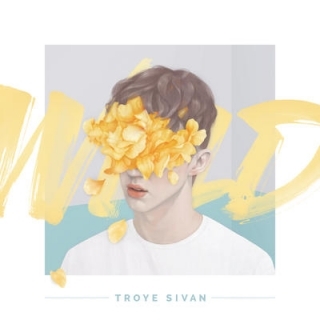 Today, I am going to talk about an album that I love by Troye Sivan. He is a Youtuber, singer, songwriter and actor. I am so proud of what he have achieved during the last few years! I have been following his work for a few years, and when his first EP (called TRXYE) came out, I was so amazed by how great his music actually is. However, I prefer his newest album to the first one, it suits my taste better. I generally do not listen to songs that are a bit more electronic. This album though has the right amount of electronic twist in it, which I really like. There are six songs on it containing two collaborations. I thought I’m going to share my favourite songs of last month with you, which I think I will keep writing in every month. That’s something I enjoy seeing on other blogs, because you never know when you’ll come across with a good song you have not known before. So here are the songs I listened to the most in August (not exactly in order).